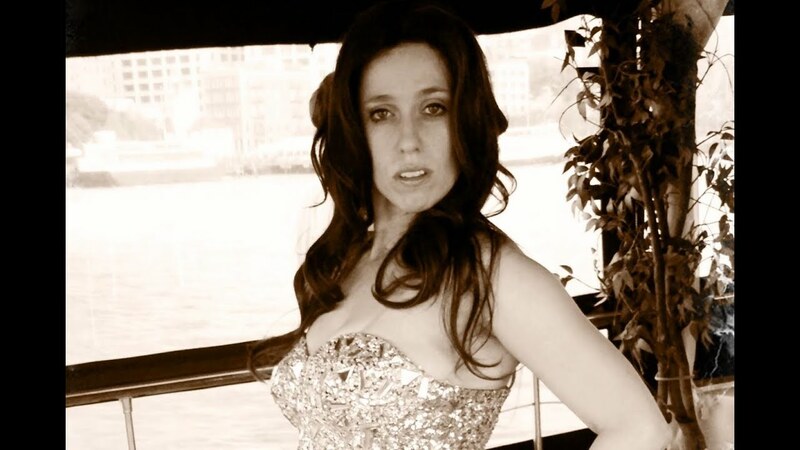 Athena is a world renowned Lady Gaga, Alanis Morissette,Cher, Marilyn Monroe & Celine Dion Impersonator. As featured in NY Magazine, Chatelaine & City TV. Billboard & Wendy Williams Show used an image of Athena, thinking it was the real Gaga. Athena has been endorsed by Gaga. "She can use my image whenever and however she likes", Lady Gaga. Gaga tweeted in support of Athena. Athena has been featured on page 6 (twice) of the NY Post. Athena was featured on Gaga's Edge of Glory commercial, CNN, Lifetime & more. She is an award winning singer & actress and can sing like any character she impersonates. She plays piano, has authentic costumes, professional dancers & is wonderful to work with. ATHENA REICH ROCKS OUR FAMILY REUNION ! Athena came to our family reunion and left us all mesmerized, and still in shock. Her performance was amazing. As soon as I introduced her, the hall became very quiet, as she was a surprise for our family. They believed she was the real Gaga from start to finish. She made my big sister faint! All the kids followed her throughout her whole performance. She sung live and her voice was beautiful. She even gifted us with one of her original dance songs. What an amazing and beautiful performance. Thank you Athena for making the Howard Banks Reunion on July 19th, a night we will never, ever forget. You have 220 new fans. We love you! This was one of the best shows ever! You guys were such a loving crowd. It was adorable how all the children followed me around like the Pied Piper. I love you guys!!!! It was heaven. As a prank we hired Athena as Lady Gaga and spread rumors the real Gaga was coming to perform. Athena stayed in character from start to finish and she was an incredible performer - talented, dedicated and an absolute pleasure to work with. I have already and will continue to recommend her. She did such a great job that we even were in Page Six about the event! Thanks so much. You guys were completely awesome to perform for and work with!!! Athena FAR EXCEEDED any expectations! 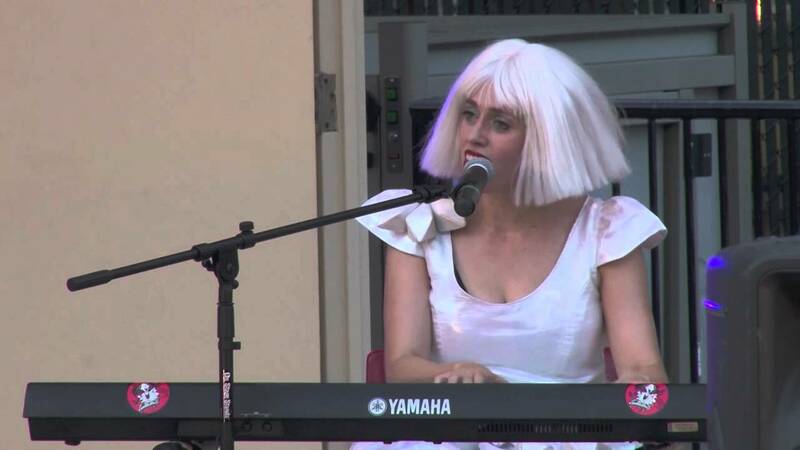 Athena was EXCELLENT as Lady Gaga at our Play with Grace Carnevale Costume Ball fundraiser. Many of the guests who had been to a Gaga concert said Athena was spot on! She was interactive with the audience and riveting! She was fantastic to work with also. Very clear communication, very flexible, and performed as she said she would. We were delighted we had her at our event! We would recommend her to anyone and everyone. Can't actually imagine a BETTER LG impersonator than Athena. Diane I had a great time and would love to come back anytime. Thanks for taking a chance on hiring me when you didn't know anything about me! And you really organized an amazing party. Athena really gave her best performance, amping up our office party as Gaga. Could have thought she was the real thing! She arrived on time, gave a great performance, interacted in character with our guests... AMAZING! Thanks Athena! Thanks so much! I had a blast working with you guys at I Heart Radio / Clear Channel! I watched her on utube, read all reviews, she exceeded all expectations Live! This event was a staff party for a group of 90. My staff love, love, loved this. She Sings Amazing, the dancers were great to watch. All together a very great experience. Very professional. Top notch. Worth every penny. We hired Athena Reich to perform at my wedding. We didn't tell any of our friends what was going on and they thought she was the real Gaga! They stood their in shock! We knew she would be a hit but we never imagined our friends would think she was the real Gaga! Athena's costumes are top notch. Her voice is as good, if not better than Gaga's, and she has a sweet personality that makes her a sheer pleasure to watch. She was easy to communicate with leading up to the party and was able to accomodate all our requests. She surpassed my expectations, and my friends are still talking about it to this day! It added an extra level of surprise and pure fun to our big day. I can't say enough good things about her! Above and beyond my expectation. A true talent. I booked Athena for my child's birthday party. I found her here on GigSalad and had no idea what to expect. I thought it would, in the least, be a unique memory for my daughter and her friends. Once I emailed Athena, she immediately got back to me. I told her my concerns to keep it PG, as my daughter is only 8 years old. She listened attentively to my preferences. Athena stayed in touch with me if I had any questions, leading up to the event. She even texted me to let me know she was on the way on the day of the party. When she arrived, not only were the children astounded, but my adult friends all pulled out their phones to record her act as they thought she was the real thing! Athena is not only a great singer, but she is truly a sweet person. Within minutes she had the girls singing and dancing along with her. Athena's costumes are very impressive. After the performance, Athena signed autographs and spoke to each child. They were absolutely thrilled, and talk about it to this day. I had no idea what to expect as I had booked her through this site but I can't imagine any way that it could have gone better. I already recommended Athena to a friend who used Athena for a Gaga themed bridal shower and my friend couldn't have been happier as well. Athena is able to adjust the act so it works with different ages, and types of parties. You will not regret booking Athena. It was a pleasure to meet her, and we still keep in touch from time to time. WOW WOW WOW is all I can say! Athena did a fantastic job impersonating Lady Gaga. Best part of the event and a definite show stopper. I received so many compliments and rave reviews. Athena and her dancers had the whole crowd going and she did a fantastic job. From singing, to dancing, to engaging with the crowd. She is a definite crowd please and would highly recommend her for any event you may be having. It was a pleasure to work your party. Thank you so much! Thanks so much Anthony. You threw a great party and your friends were really nice. I would perform for your circle again anytime! So nice, talented, humble, loving, energetic and versitile entertainer. I just loved meeting you guys and performing for you so much. I’ve been away on business a lot and wanted to do something fun for my best friend whose Birthday Party I was going to miss. I purchased a Gaga-Gram. Athena showed up at my friend’s office and blew everyone away! She sang, hung out and took pictures with everyone, NOT just my friend, from what I hear tell my friend’s co-workers want to book her for other gigs, which makes me so happy. My friend is still talking about it and I believe this amazing gift will keep me out of the dog house for at least a year or two if not for life. Samantha was so thrilled Marsden. She was laughing so hard she had tears in her eyes. I did actually already get a call from someone in her office. Thanks for trusting me! It was a blast. What an amazing party you threw! It was absolutely fantastic! Your friends are so much fun. Thank you! I booked Athena as Gaga for my daughter's fourth birthday party. Athena was incredible. All the kids at the daycare were hysterical. Even my videographer was fooled, everybody really believed this was Lady Gaga. She was very personal with my daughter and actually sang the songs. The party was a huge success that my daughter and all her little friends will never forget. Athena is an Amazing Lady Gaga!!! Athena is an amazing performer, she impersonates Lady Gaga perfectly!! I contacted her just a few days before the small party I was throwing and she got back to me within the hour, eager and excited to perform at my party. She has a good selection of Lady Gaga outfits and wigs, and does a great job sounding and looking just like Gaga! The best part about Athena is her voice, she has an amazing voice, for Lady Gaga songs as well as her own. If you need a Lady Gaga impersonator Athena is your girl!!! Thanks again for the great performance Athena! Amazing! Everyone thought she was the real thing! I hired Athena Reich for my daughter's Bat Mitzvah. The DJ introduced her as Lady Gaga. At first the room fell silent as nobody knew what to expect. When Athena came out in her white crystal dress, she looked exactly like the real thing. All the adults pulled out their phones to record it, and all the kids rushed the stage. When she started singing, everyone was even more convinced she was the real thing. Her dancers were some of the best dancers I have every seen and their costumes looked stunning. We had to have security form a blockade in front of the stage because the kids were so excited. Athena stayed after to do pictures and the kids couldn't be more thrilled to have a photo with Gaga. Athena's performance really made the night. So many people commented that her talent surpasses the real Gaga! Athena was a pleasure to work with and very professional. I would recommend her to anyone looking to have an unforgettable event. I have seen Athena perform several times as Lady Gaga, and I'm always amazed at her energy, the quality of her voice, and her ability to involve the audience in a spirit of fun. She is a talented performer who brings life and joy to any event. She is flexible and easy to work with. I saw her on campus and she was amazing! Athena Reich is one of the most present, hard-working, talented and open performers you could hope to run across. In her Gaga incarnation, she dials up the costumes and dancing and belts out number after number effortlessly and with enormous joy. A true multi-talented professional, Athena is no overnight, one-trick artist for hire - she is the real deal, even when pretending to be someone else. Athena Reich is an amazing Lady Gaga impersonator... When you see her perform, you feel as though you're watching the real thing! She is a total crowd pleaser and is always a hit! She looks, sounds and acts like Gaga... I definitely recommend her for your next event or function... You won't be disappointed!! Really sings instead of lip-syncing! I'm a huge Gaga fan and I saw her perform on New Year's Eve in Washington DC at the Professionals in the City Event. She really engaged the crowd and got people up and dancing. She was really singing instead of lip-syncing and looked and sounded like Gaga. She was so believable that people were waiting in line afterwards to get pictures with "Gaga" on New Year's Eve. I would highly recommend her. What a pleasure it was having her perform at my brother's 60th birthday party. Let me tell you......it was fantastic. My brother is a huge Gaga fan and when she walked in the door he was speechless. Her performance was great. She is a crowd pleasure, engages everyone in the room. She spent time talking and taking photos afterwards and made sure everyone was included. As an added bonus, she is such as nice person. Very professional and punctual. Booking her for your next party/event is a must. Oh and a very important note, she does the actual singing, no lipsinging here. You will not be disappointed. So......what are you waiting for.....go book her NOW!!! Fourth of July with Lady GaGa Impersonator Athena Reich ! Athena Reich is an exceptional musician; songwriter and actress who we have seen perform at such venues as Women in Rock, Webster Hall, Laurie Beechman Theatre and Living Room. Her talents as a musician are wide ranging as a singer, keyboardist and choreographer. She performed as Lady Gaga at the 4th Of July Outdoor Festival with her back-up dancers in Lincoln Park NJ and had the audience crowding the stage, hands waving in the air and screaming GaGa GaGa! Her performance was spectacular and she spent a lot of time after the show with the crowd, signing autographs and photo ops. You could have sworn the real GaGa had descended on the festival! Athena is a NYC musician / songwriter who plays many venues in Manhattan and other NYC and East coast locations. She has her own unique style of Pop mixed with a classical upbeat, Pop Rock influenced sound, GaGa stylized mood and mesmerizing beat. We own an entertainment site (do not represent the musicians) and do interviews with NY NJ artists. In her interview she describes her music as: Pop; Alternative pop or Storytelling Pop with a theatrical twist. Athena is an accomplished pianist, guitarist and can even play the ykelali. We have attended many of her venues and they are always a quality lush performance from one of the best the East Coast has to offer! Audiences have a great time dancing, singing along, or simply enjoying the entertainment. Athena is a powerful singer and her dancers are true professionals whose choreography is dynamic, tight, energized and true to the real choreography. Athena will work the crowd, and can get any party going. She will charm any event, from Bat Mitzvahs to Corporate Events to College Dance Parties to Night Clubs to Outdoor Festivals to Weddings to Trade Shows. Athena loves to interact with the audience afterwards, taking photographs and signing autographs. She has a blast as a performer and her joy is contagious. She is a true talent you will never forget. What sets Athena apart from the other impersonators is that she has a large set list to select from, a large roster of characters, she is an incredible singer, her dancers are professionals who do authentic choreography, her costumes are top quality, she is constantly mistaken for the real GaGa in her own life, and her sweet nature makes her instantly lovable. She has numerous repeat customers and referrals. Athena is an award winning actress and singer/songwriter so her extensive and diverse talent and training make her stand out from the rest. Also, Athena has a full 90 minute tribute show. It's a musical theater experience that premiered at the Arcadia Theater in February 2014 to over 400 people. It was a smash and Lady Gaga International is currently shopping for more venues for this family friendly 90 minute show. Athena performs at all types of events, from theaters, to small parties, to baby showers, to corporate events. Athena does Lady Gaga, Marilyn Monroe, Celine Dion, Madonna, Cher & more. If you are having a hard time finding a particular character (Janis Joplin, Joan Rivers, Carole Burnett for example), contact Athena because she can create a character specifically for your event. Athena is a master impersonator and can sing, act and perform any style. She just moved back to Toronto after living in NYC for 16 years but travels around the world for performances. Recent press includes City TV, Chatelaine Magazine, NY Mag (Best Bet), Page 6, New York Observer and more. Billboard and The Wendy Williams Show used an image of Athena, thinking she was the real Gaga. And Lady Gaga herself has tweeted in support of Athena. Her 90 minute Gaga tribute show, "We Are All Superstars: A Lady Gaga Tribute" premiered at the Arcadia Theater to over 400 people and featured over 20 songs. Her comedy show, "Athena Reich as Lady Gaga in #ARTBIRTH" was produced by SPIN CYCLE at the Laurie Beechman Theater in New York City and received Time Out Critic's Pick. It is now being produced at the Berkeley Street Theatre in Toronto by Sara Schwartz Geller Productions (Hedwig, Canada 150, Wrestling Jerusalem (Dora nom)). Athena performs 1-25 songs and can perform solo or with back-up dancers. Unlike most other impersonators, Athena has an incredible voice and does not lip sync. She sings all of the songs live and plays the piano or guitar, just like the celebrities she impersonates. Her back-up dancers are professionals who do the real Gaga / Madonna / Katy Perry choreography. She can headline a festival, private party, night club, or walk the red carpet as any of her characters! She is generous with the crowd and loves making time for photographs and autographs. She is an incredible singer and performer and can get any party up off the floor, and having a great time. At trade shows you can count on her to draw the crowd to your booth. At baby showers she will show up as Pregnant Gaga and have all your friends in stitches as she sings while her water breaks. She works with all ages and groups. Her charismatic and sweet personality sets her apart from the rest AND she provides her own sound system for house parties FREE. This will save you a great deal of time and money. Athena travels internationally and is flexible to work with. "World Renowned Lady Gaga Impersonator Athena Reich" (Washington Times) is a true talent. She was selected by Lady Gaga's Haus of Gaga to appear in Gaga's National Google Chrome Edge of Glory commercial and has been endorsed by Lady Gaga herself. "She can use my image whenever and however she likes", Lady Gaga. Athena performs at all types of events including theaters, corporate events, birthday parties, weddings, baby showers, wedding showers, confirmations, bat / bar mitzvahs, casinos and more. Often the venue provides a professional sound system including DJ, chordless mic, sound system, monitors and speakers. For a large blown-out show, lighting is recommended. If it's a private party in a home, she can bring her own sound system. Athena Reich is an award winning singer/songwriter and actress. She won Best Comedy Improvisation on YTV (judge Eugene Levy) and Best Pop Song at the MTV LOGO Outmusic Music Awards. She has been performing on TV, film, and in theater since the age of 12. She has toured her solo music across North America and Europe. She has also appeared in countless Off-Broadway plays and musicals. She is currently the host of a new cooking show called "The Curious Cook", and recently booked numerous commercials. Influences include Lady GaGa, Madonna, Annie Lennox, Marilyn Monroe, Barbara Streisand, Celine Dion and P!nk.